The North End Community Garden (Hope Blooms) is an initiative of the North End Community Health Centre. 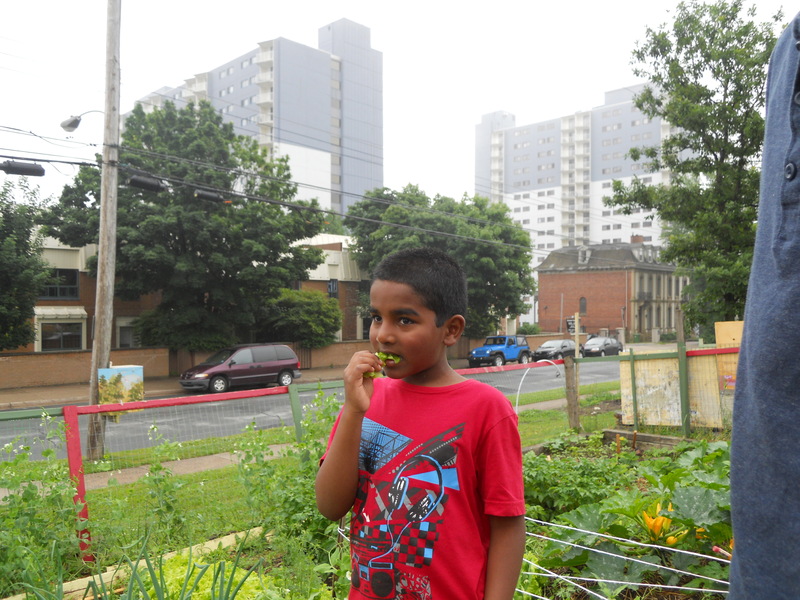 This is the garden’s fifth year in operation and there are now over 40 youth and 26 families involved! 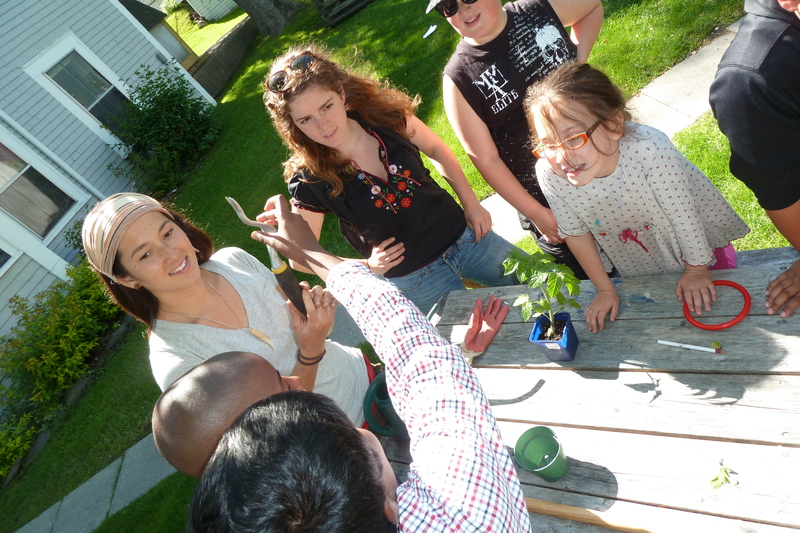 Our mission includes engaging at-risk youth and the community around them in building an environment where “hope blooms”, where possibilities are actualized, and people are connected back to the basics in areas such as growing their own food, working together, skill development, and entrepreneurial training, so that through their own actions they can create healthy environments. The following garden entries were written by the Hope Blooms Jr Leaders, telling their stories about the garden. The Garden is place where the community is united. You ask why? I say that well the Garden is treated with care and love. It’s almost like nurturing a new born baby that the community contributes to. It’s amazing to see it grow! The Garden is a fun place where we learn new things. This Garden has been running for the last five years. The Garden is like a family, and everyone is welcome. This summer was great and I felt like everyone enjoyed The Garden. At first the garden was just a field of weeds and the soil was poor. Then Jessie and some other people came and changed it to the Community’s Hope. The hope was a tiny seed, but as time passed, it grew into a beautiful plant. Since time passed us kids have learned a lot of new things. The Garden has brought the Community together. In the Garden we are a Family! We entered a contest called the Awesome Foundation. I knew we were going to win, but I wasn’t really sure. We did a play about cleaning and gardening. There were three other finalists, but I knew we were going to win! We won $1,000 and with that money we are having a salad party in our community. and that hope will become hope blooms. This creates the name for the garden. have people buying before we have some made.